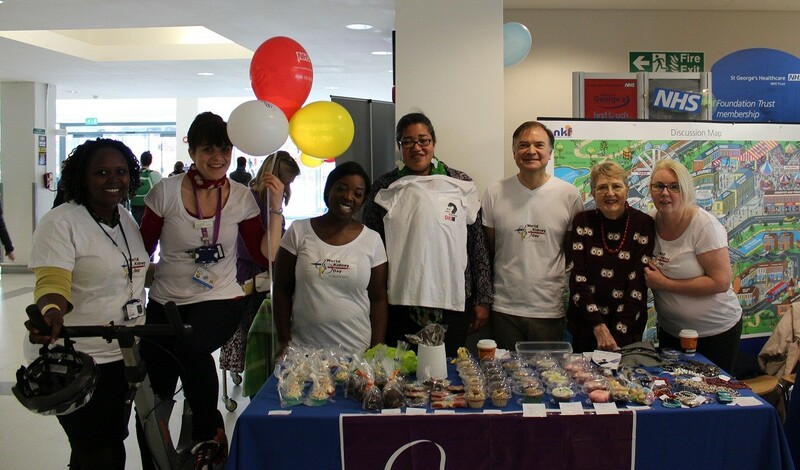 For World Kidney Day 2015, St George’s renal unit staff and members of the St George’s Kidney Patient Association arranged a health promotion/awareness day in the Grosvenor wing foyer around kidney disease. Staff took part in a relay ‘spinathon’ and there was also a cycle apparatus on display for patients to use whilst they are actually on dialysis. People could also have their blood pressure checked, BMI calculated as well as get lots of helpful advice from the team. Jacqueline kindly donated a signed copy of The Butterfly Club which was raffled on the day.